This photo evokes one of Brian's favourite memories of the cruise - pulling into Durnstein on a lovely summer's day, and taking a short walk into town after breakfast. 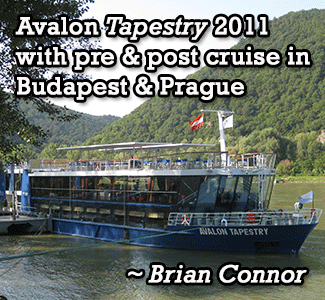 Learn more about Brian's adventures on the Tapestry. 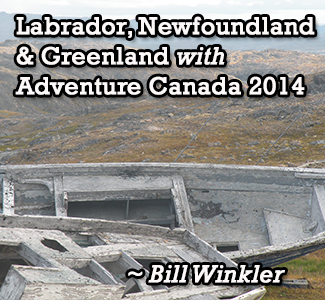 Read Bill's extensive day-by-day review of his adventures in Greenland and Newfoundland with Adventure Canada - a truly different vacation, learning all about the people and culture of the north. 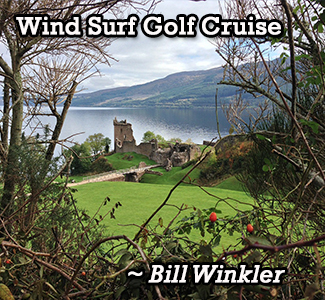 Read Bill's comprehensive review of the castles you will see on a Rhine River cruise, situated on the hillsides and shores of the Rhine River Gorge. 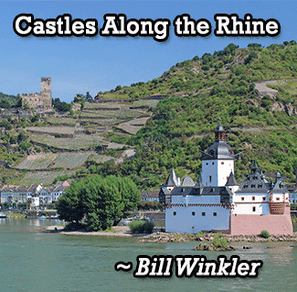 You can even download a flyer to take with you as reference on your next Rhine cruise! Learn More here.